Codex Ambrosianus E 147 sup. 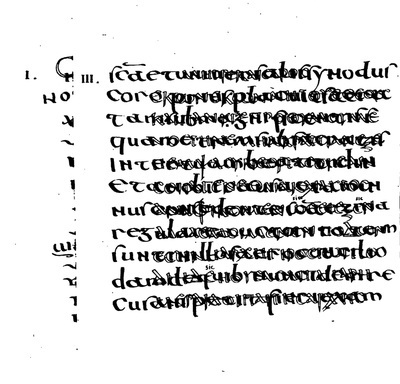 Originally, however, these two manuscripts seem to have been transmitted in a single manuscript with the exception of another incomplete and separate manuscript that contains some letters from Lucius Verus to Fronto (Bischoff 1958). It is estimated that the original codex may have had approximately 680 pages; however, only 282 pages remain in the Ambronianus codex and 106 in the Vaticanus (Fleury 2012). 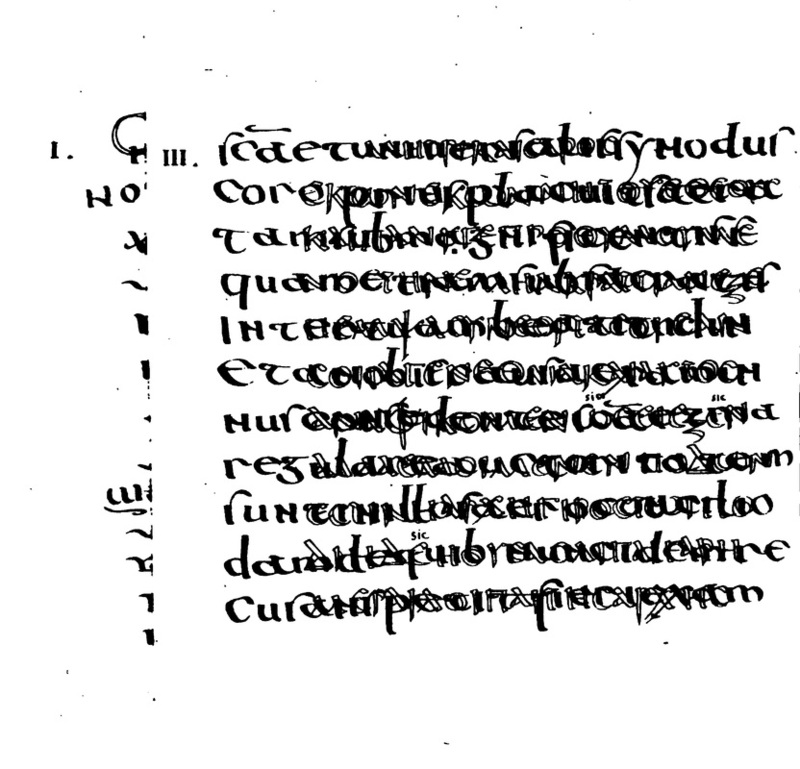 The principal text of the codex appears in two parallel columns of 24 lines each and seems to be written in unicals of the fifth century (Fleury 2012). Three other hands can also be distinguished ranging in date from the beginning of the 6th to the end of the 7th century. The latest of these hands make it reasonable to conclude that the reuse of the manuscript to transcribe the Acts of the Council of Chalcedon (451) happened just after the 7th century. No other references to or in the text point to another date until the 17th century at which point the manuscript seems to have been divided at the library of Bobbio into the two current manuscripts. These manuscripts then arrived at the Biblioteca Ambrosiana in 1606 and at the Vatican library in 1618. These two manuscripts of Fronto's correspondence remained at the Ambrosiana and the Vatican apparently undisturbed until the 19th century. In 1815, Cardinal Angelo Mai rediscovered the Milan manuscript and rapidly published it. Almost immediately thereafter, Niebuhr offered a second edition of the same manuscript in 1816 (link to text). A few years after his original discovery of the Codex Ambrosianus, Mai uncovered the second manuscript at the Vatican library in 1819. Therefore, in 1823 Mai published a third edition that combined both manuscripts for the first time since their separation in the 17th century (link to text). However, although commendable for his speed, the rapidity of Mai's publications and the extreme difficulty posed by the palimpsestic nature of the manuscripts led to a litany of German commentaries that spurred further editions, most notably Mai (1846) and Naber (1867) (link to text) Further complicating matters were the preservation methods used by Mai on the manuscripts, which included the coating of the manuscripts with chemical reagents (Fleury 2012). 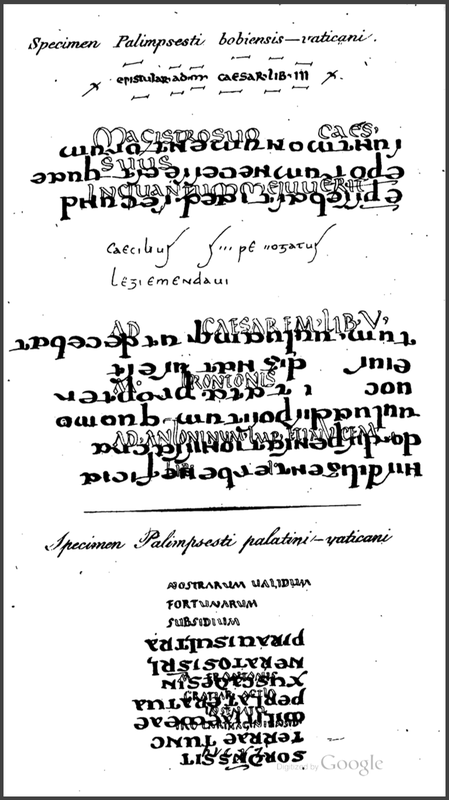 The application of these chemicals damaged the manuscripts permanently and made all subsequent editions dependent on the initial readings of Mai, Niebuhr and Naber. In the 20th century, the first scientific edition of the text was produced by van den Hout in 1954, followed by a second edition in 1988. Moreover, it was not until 1999 that van den Hout produced the first line-by-line commentary on the correspondence. It remains the only full commentary currently published.